The long-awaited FTA Logistics Report 2016 has now been published. The FTA Logistics Report is published each year, providing detailed analysis of the key events, trends and news in the sector over the previous 12 months. You can download the full FTA Logistics Report 2016 here. In this article we summarise the key aspects of the report and what they mean for the logistics sector. 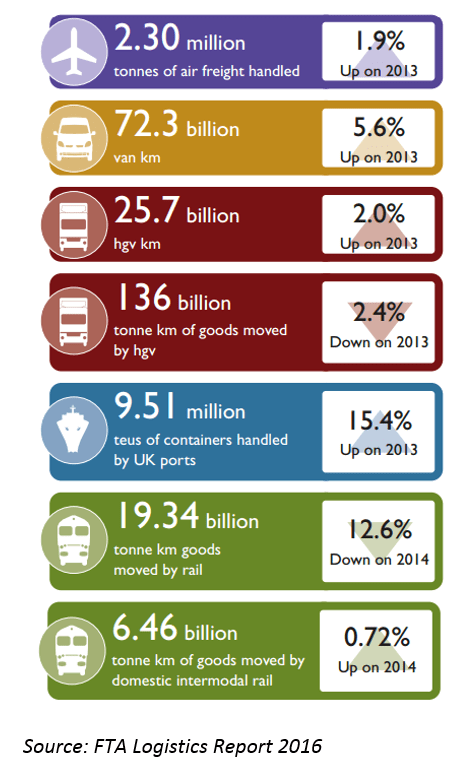 As the graphic on the left-hand side highlights air freight, vans and HGVs saw an increase in activity in 2015, whilst rail freight saw a significant decrease. Those retail and the related distribution and haulage operators saw the biggest increases in activity in 2015, particularly as online sales continued on an upward trend. Incidentally, over 370,000 new vans were registered in 2015 – 60% more than in 1994, highlighting the need and demand for that particular logistics sector. Unsurprisingly, with the growth of online sales showing no signs of slowing down, those were the firms that were the most optimistic about the year to come. On the other hand, as the decline in steel production continues and coal-burning power plants begin to be phased out, rail freight operators are likely to be very tentative about the remainder of 2016. 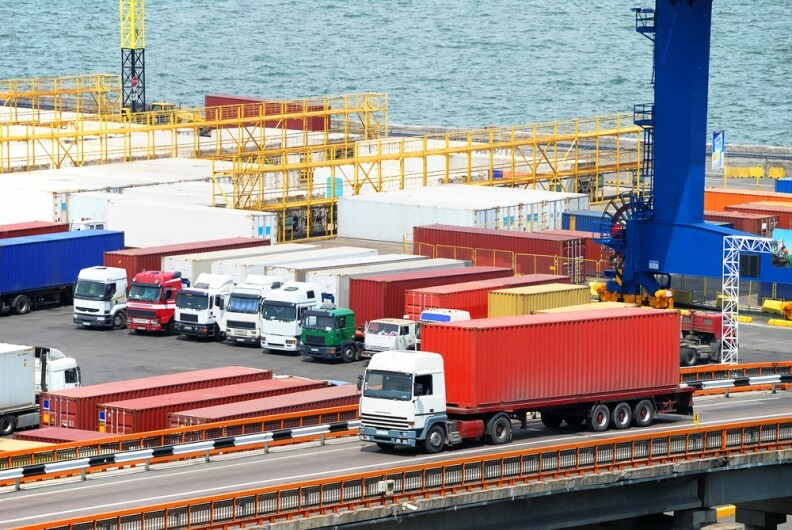 The FTA Logistics Report also included the annual the FTA Logistics Industry Survey – which had 340 respondents – and found that input costs in 2015 saw moderate increases (compared to 2014), with the exception of fuel costs. Wage rates were the input cost that saw the biggest increase in 2015. As well as general salary rises, increases in the National Minimum Wage in October 2014 and again in October 2015, as well as the continued implementation of auto enrolment, impacted a high number of operators. Other costs, such as maintenance and insurance, also saw small increases. Of the logistics input costs that decreased, the continued freeze in fuel duty and the significant falls in the price of a barrel of oil in 2015 helped to reduce the impact of fuel price volatility. We will comment as the matter develops.